Charles Waterman was born in August of 1880 outside of the Cattaraugus Reservation in Erie County, New York. His parents, Phillip Waterman and Marry E Winnie, were both of the Seneca tribe and native to the upstate New York area. Charles had three siblings, Lilah, Glennie, and Cornelius, and a half sister from her mother’s second marriage, Lula. It is likely that Waterman spent roughly his first 12 years of life in upstate New York living on the Cattaraugus Reservation with his mother and three siblings. Waterman’s blood is recorded in Carlisle Indian School records as “3/4”, suggesting that his mother or father descended from interracial relatives. Waterman attended the Carlisle Indian School from September 16th, 1892 – December 19th, 1892. During this time, Waterman wrote at least two short stories, which were published in the “Red Man” Volume 7, in 1915. During and after his time at the school, his siblings Glennie and Lilah attended the school until 1892 and 1907 respectively, both participating in many home-stays in the New Jersey area. Waterman’s sister Glennie wrote a short reflection piece on her time at the school in 1892 which was published in “The Carlisle Arrow”. 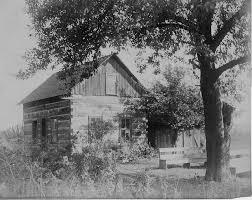 In December of 1892, Charles left the school on the grounds of being “sent for”, usually indicating that a family member or tribe member requests that the student discontinue their education. After school, Waterman moved to northern Wisconsin with his father, while his siblings stayed in upstate New York with their mother. Between roughly 1896 and 1901, Waterman married Viola Snow, and had their first child in 1901. The couple went on to have two more children. Sadly, Waterman’s occupation and date-of-death are unknown, but his name was last recorded in a 1930 US Census. This entry was posted in Charles Waterman, Resistors and tagged Cattaraugus Reservation, Charles Waterman, New York, Red Man, Resistor, Seneca, Wisconsin. Bookmark the permalink.